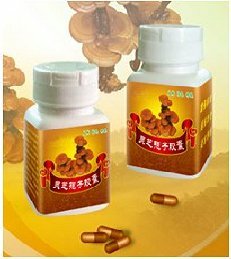 Cracked Gyrophora Spore Powder Capsule is made up of the spores of mature gyrophora plant using modern advanced scientific technology. Cracked Gyrophora Spore Powder is richer in polysaccharide peptide, adenine nucleoside, protein, enzymes and selenium etc., compared with regular gyrophora powder. It can be taken for a long time without any toxin and side effect. Cracked Gyrophora Spore Powder Capsule is made up of cracked gyrophora spore powder with 2500 mesh, which is easier to be absorbed by human body based on high quality and tiny powder. It is a natural, green product without any additive. It can strengthen the curative effect of traditional cancer treatments of chemotherapy and radiation treatment and reduce their side effects such as fatigue, vomit, poor appetite, hair loss, white blood cell decreasing, suppressed immunity. It can prolong the life of tumor patient and reduce the transfer of cancer cell. It can create the chance of treatment for the serious patient who can only accept conservative treatment so that they can be treated by radiation treatment and chemo-treatment. It can help those recuperating from chronic diseases such as angiocardiopathy disease, diabetes, chronic hepatitis, aged diseases, etc. It can prevent cancer and re-currence of cancer, by increasing immunity. It can improve the life quality of cancer patients and relieve pain.